Compatible with 1-1/2″ commercial wet/dry applications. Crushproof design, bright safety yellow color. 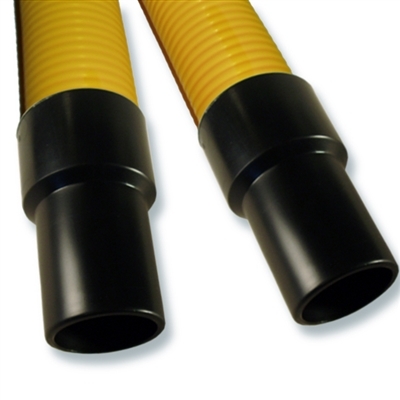 Heavy Duty plastic hose carries no voltage for central vacuum power switching or power heads. Includes two black 1 1/2″ ID hose end cuffs.